This is Courtney Elizabeth Mauk. She's the author of the novel Spark (Engine Books, 2012). Her work has appeared in The Literary Review, PANK, Wigleaf, and FiveChapters, among others. 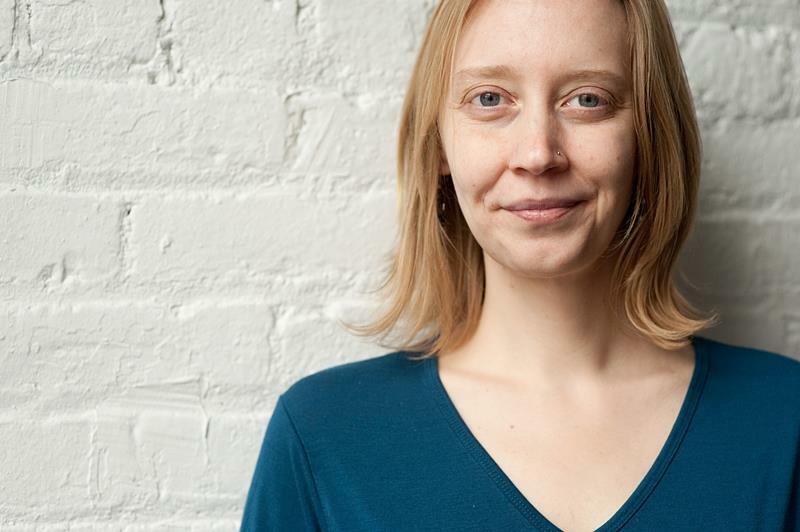 She is an assistant editor at Barrelhouse and teaches at Juilliard and The Sackett Street Writers’ Workshop. She lives in Manhattan with her husband. 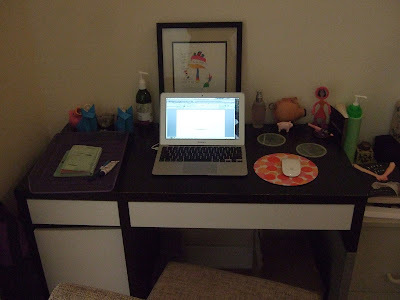 The only place I can write is at my desk. I’ll take notes anywhere: coffee shops, the subway, the doctor’s office, in class while my students work on an exercise. I keep a little notebook in my purse for that purpose. But my notes are fragmented, interrupted by grocery lists and ideas for the weekend, and I can’t make out half of them anyway. It doesn’t matter. The act of note-taking is more important than the notes themselves. It’s a way of warming up my brain so that when I sit down at my desk, I’m ready to go. My husband and I live in a 500 square foot apartment. There’s not a lot of room for anything but the essentials. 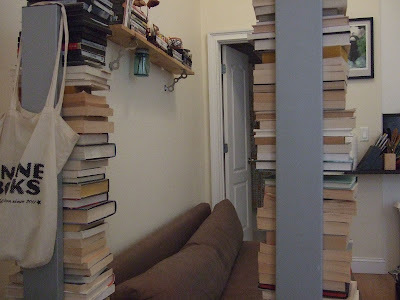 My “office” is in the corner between the bedroom and the couch. We’ve used bookshelves to create a little wall. It’s nice. When my husband is home, he takes up residence on the couch, and we become absorbed in our separate pursuits, able to get into our individual grooves while pausing now and again to chat. I used to say I could only write in the morning, but that was romantic. I’ve become adaptable, although I still like mornings best. What I do need are quiet, a mug of strong, black tea, and my water bottle. 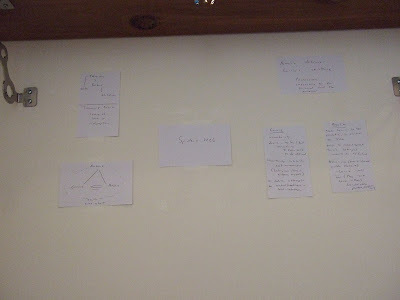 On the wall directly above my desk, I post notecards mapping out whatever I’m working on at the moment (right now, my second novel). 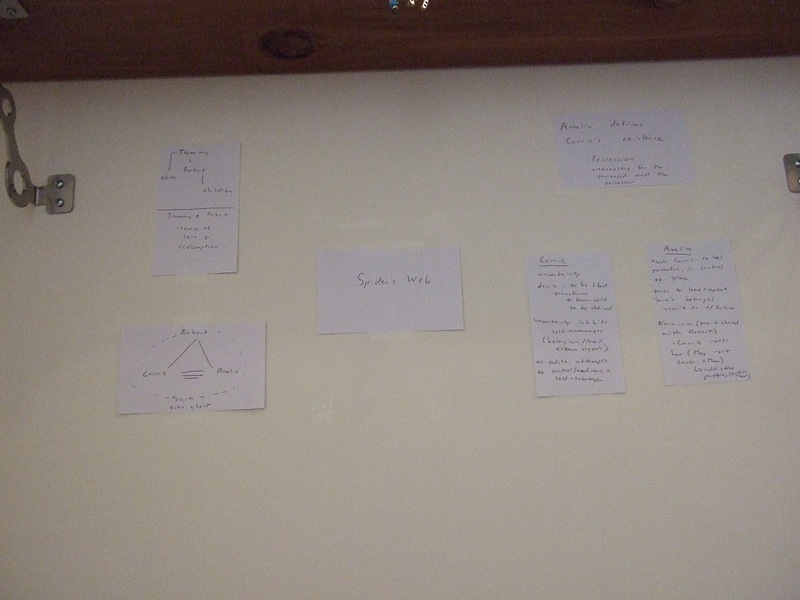 I make those notecards when I’m well into my first or second draft and need a visual of where I’ve been and where I’m going. The surface of my desk is (neatly) littered with things that make me happy: two origami wolves made by my friend Fiona, a couple of good luck pigs, a photograph of my mom, my favorite hand lotion. The notecards take me into my work, and my collection of happy things brings me back to myself. 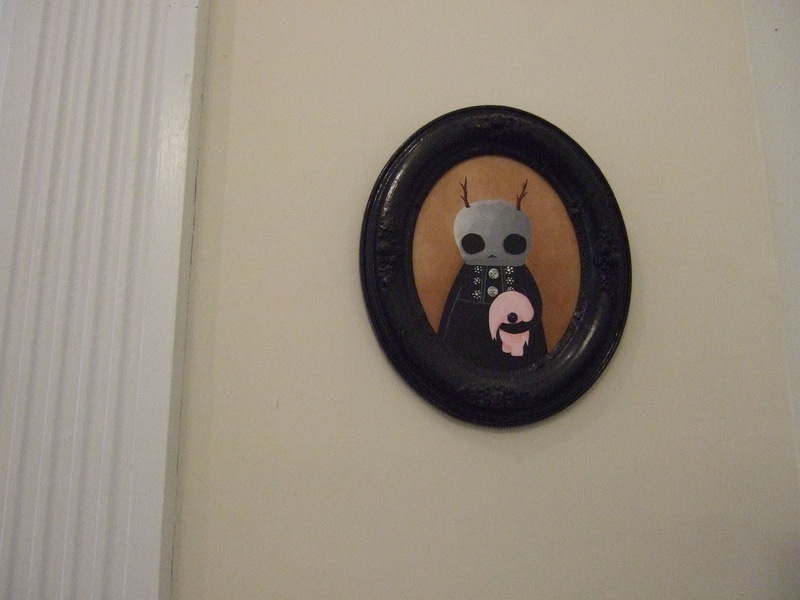 And watching over everything is my little skull baby with his pink elephant. He is my muse. Next week, Jane McLoughlin shows off her writing space. 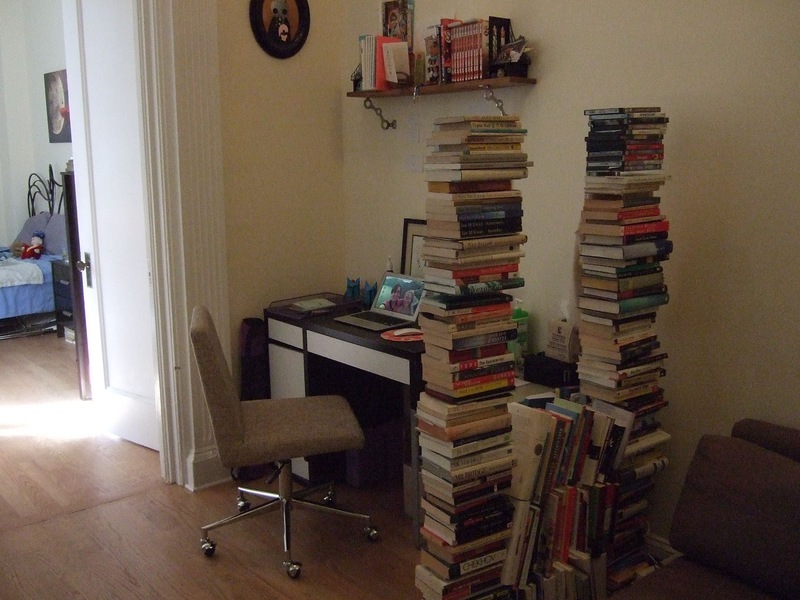 love those stacks of books! I love those book towers too! The next time I wring my hands over how and where to write, I'll think back to this post and remind myself that anything is possible. Brava!